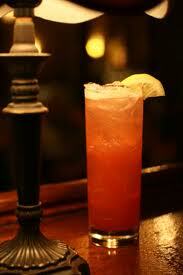 The Alabama Slammer is a great liqueur based drink that can be enjoyed anytime. Add ingredients into cocktail shaker with ice. 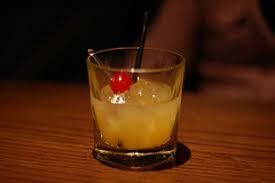 Shake well and strain into iced old fashioned glass. Garnish with a cherry or lemon wedge. We joke and call this classic a Sloe Gin Collins because that’s basically what it is, a Tom Collins made with Sloe Gin. Mix the first three ingredients into a cocktail shaker. Shake well, strain into iced highball glass. Fill glass with sada water and garnish with a lemon slice. Originally called the Milano-Torino, this classic cocktail was first served in the 1860’s at Garspare Campari’s bar in Milan, Italy. It was later renamed the Americano because of its popularity among American tourists. Fill rocks glass with ice. 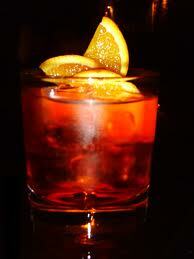 Add Campari and sweet vermouth. Fill with Club soda and garnish with orange wheel.